You may never have to deal with vision loss, but caring for your eyes should still be a top priority even when you’re a child or teenager. Millions of dollars have gone into eye care, such as the work at Stephen A Wynn Institute for Vision Research, but there are simple things you can do to ease aging and strain every day. Follow a few care tips to really see your sight flourish even in advanced age. It’s common sense to keep your eyes away from direct sunlight and extremely bright lights, but other influences affect your vision too. Electronic devices, from laptops to smartphones, emit bright light. Focusing on that light for hours at a time is stressful and contributes to strain over the years. Allow your eyes to take a break every 20 minutes. Focus on an inanimate object about 20 feet away for 20 seconds, for instance. Allowing your eyes to focus on something other than a bright screen releases muscular stress and exercises your vision with beneficial effects. If you’re working with anything under tension, such as handling hand tools, always wear eye protection. You can instantly lose your vision in one eye if tools or other items strike the eye surface. Although eyes are safely housed in bony orbits, they’re still vulnerable to damage when force is applied. Safety goggles are a must for any person working with volatile items. 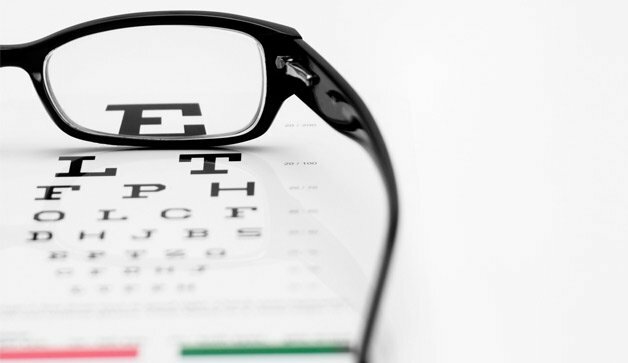 Even if you don’t have an actual vision problem, visit the doctor at least once a year to have an exam taken. Minute vision differences could occur from year to year, allowing them to be more apparent to doctors than to you. Visit your regular doctor or an ophthalmologist to have the best vision possible. They’ll be able to quantify any differences and rectify situations as necessary. You can indirectly care for your vision by donating to eye research institutions. Professionals with extensive vision backgrounds are constantly experimenting and finding solutions to common ailments. Streamlining medication types or improving surgical procedures is part of their job, but they also want to reduce vision aging over time too. Any donations help you and many others with their potential vision issues as time wears on. It’s not necessary to wait an entire year for a basic physical and talk about possible vision problems. If you start to see obvious vision changes, such as blurry images or even floating phenomena, make an appointment with your doctor. Working with your doctor as issues arise makes treatment possibly easier than if you waited many more months. Your general practitioner may only perform basic eye exams on you, so be proactive and research skilled ophthalmologists for more in-depth vision care. A current doctor may even have a referral for you, giving you a chance to see a busy professional at the top of their game. You want the best care for your eyes to see children and grandchildren grow over the years.